Home » 10s » Burggraben mit Hofkirche Innsbruck Austria. 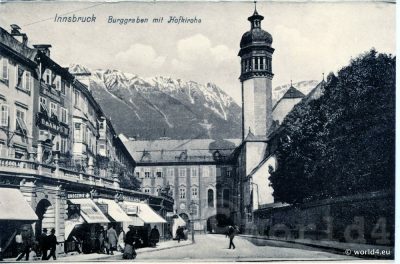 Burggraben mit Hofkirche Innsbruck Austria. In the back the Austrian Alps, Mountains. Next PostThe Spanish Hall at Castle Amres Innsbruck.